The water you drink today has likely been around in one form or another since dinosaurs roamed the Earth, hundreds of millions of years ago. From prehistoric times, fresh water on the planet has remained fairly constant, recycled through the earth’s atmosphere. But as the planet’s population has increased, the competition for clean, potable water that sustains life intensifies. Nearly 70 percent of the planet is covered by water but only 2.5 percent of it is fresh. However, only 1 percent of that fresh water is easy to access, with the other 1.5 percent trapped in glaciers and snowfields, resulting in less than 0.007 percent of the earth’s water being available to 7.4 billion people. While humans can live weeks without food, it only takes a few days before we would die without water. Water also is essential for food production, manufacturing, sanitation, and keeping us and our environment healthy. The United Nations reported that during the last century, water use has increased at more than twice the rate of the worldwide population. As a result of use, growth, and climate change, two-thirds of the world’s population will be living in water-stressed regions by 2025. Life cannot be sustained without water. A few companies, including Utah-based ATS, have the know-how, experience and expertise to clean and process water for clean drinking water, water treatment plants, wastewater reclamation and agricultural applications. ATS’s clean water solutions can be applied in a variety of waterways including rivers, bays, lakes, ponds, reservoirs, sedimentation basins, irrigation canals, treatment lagoons and other surface, well, and ground-water entities. Waterways throughout Central and South America are heavily polluted due to untreated human sewage and industrial dumping. This has led to serious toxicity levels that are killing fish and aquatic life, and it’s harmful to the people living in these areas. People who enter the water are getting sick from viral, infectious organisms, including flesh-eating germs. ATS is committed to resolving these problems and helping countries clean up their waterways, using natural bacteria and other environmentally friendly and safe treatment strategies. ATS’s teams, with their combined expertise and experience, will vastly improve water quality and aesthetics for local communities. Our world-class team of experts and proven technology and methods will mitigate and clean up these waterways in a safe, sustainable manner. Our team will deliver a set of outstanding results—safer and cleaner water, reduced algae and bacteria, and fewer mosquitos and dengue fever cases. ATS works with national and local governments to steadfastly and rapidly improve quality and clarity of water. We will implement a master plan to address the continuing challenges by providing both short-term and viable long-term solutions based on climate, location, and locally specific problems. 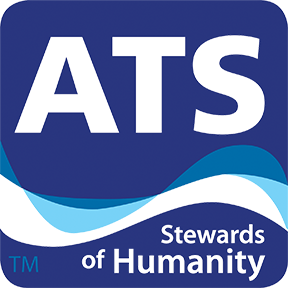 ATS will apply specialty chemistry directly to large bodies of water and apply pre-treatments to upstream waterways and rivers in order to reduce the effects of raw sewage from humans, thus providing sustainable improvement of water quality. ATS creates solutions for our customers and we work together with clients as stewards of the environment. We have the technology and expertise to manage natural resources, provide clean drinking water, and treat wastewater for communities that is safe and can be recycled or repurposed. Water is our most precious resource. For more information about cleaning and protecting your waterways contact us at 800-747-9953.